Hello music-lovers! I wanted to bring you something truly special today via The Weekly Pick, a warm and inviting retro-modern step into the new single from Leon Bridges. "Bad Bad News" is a fantastic jazz meets soul meets modern R&B exploration from Bridges forthcoming album "Good Thing" out May 4th. "Bad Bad News" as a song itself is pure bliss, I've been listening to it's deeply musical beat and melody via local LA taste-makers's KCRW for the last few weeks, wishing I could hit repeat every time it slips right past my ear. The video, directed by the fantastic Natalie Rae, is a subtle yet explosive case of seemingly simple choreography that really moves. Model and actress Paloma Elsesser portrays a woman on the edge of something truly great, a breakthrough of sorts, with some beautiful moments of movement that appear simple but are completely relatable. As she flows through the city sharing a journey in parallel to Bridges, I found it reminiscent of great dance and movement in the golden era of Hollywood and film. Where class and cool meet, this is the lay of the land here. I absolutely love everything about this song and video and can't wait for the full length to drop next month. Until next time, happy days and even better musical explorations! Happy New Year! I'd like to kick off 2018 with a blast from my past. The seminal Portland, Oregon based Indie-Rock band Quasi was a force of nature in my musical history. I fell hard for the unique baroque chamber pop punk esthetic that the duo create. 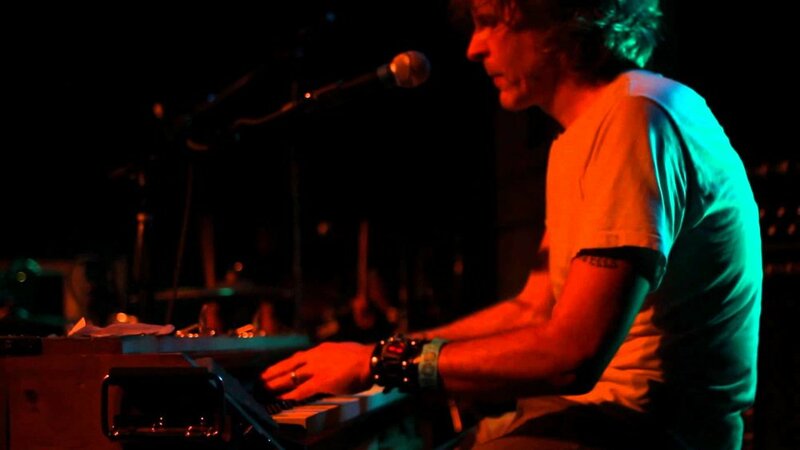 Former spouses, Sam Coomes (The Donner Party, Heatmiser) and Janet Weiss (Sleater-Kinney) are an incredible duo of distorted keyboard tones and smashing drums, fielding some of the coolest music I've ever heard. They are distinctly melodic with their musical flavor, creating a sort of Psychedelic Beach Boys, Beatles meets punk/indie sound. They're a true joy and an important part of my musicology. "I Never Want To See You Again" from their 1998 album "Birds" is a perfect window into the soul that is Quasi. Loud, dashingly beautiful and pulsing with all the pomp and circumstance that they can muster. From the fantastic harpsichord intro and Ringo Starr-esque drum pattern, to the slow build of a simple song... this is the kind of music that helped me to jump into the unknown. The distorted, beautiful, artfully crafted musicality that's never polished or overthought. This is the music I wanted to find in 1998 and interstingly enough, it's still the music that I'm searching for. Give me a reason to feel and I will love you forever... Enjoy! Happy Holidays! Today's Weekly Pick, definitely inspired by the season, is from the incredible Bill Laurance (composer & artist from Snarky Puppy fame). "December In New York" is that unique type of piece that doesn't have to conjure up Christmas, or the holidays for that matter, it just lives and breathes the spirit of the season. Which in turn is ultimately my favorite kind of "holiday" music, understated and rich with emotion. "December In New York" lends a portrait of a cold and snowy classic east coast vision. One where you can see the steam coming off the streets and families running about in preparation for what's to come. Laurance's piano playing and composition pull the listener along a beautiful journey. It's almost as if we are granted the chance to float along like a feather throughout the boroughs of the beautiful and spirited city while every ebb and flow of the music moves us. It's the kind of music that sits somewhere between classical, contemporary, jazz and something else, something new. It's in that unknown territory I find my favorite seat next to the fire and where I hope you will, at least if for a moment, enjoy a similar experience. Happy Holidays and see you all very soon! Welcome to another Weekly Pick! Today I'd like to share with you a cut from Michael McDonald's September 2017 release, and first original album in 17 years, "Wide Open". "Free A Man" is a hard hitting funk and groove exploration with social commentary in tow. McDonald's familiar and rich vocal style reels you right in. Matched with the wonderful playing of guitarist Michael Landau and tenor saxophonist Tom Scott, "Free A Man" reels you in like most of what a great artist can do with great musicians. I can't personally help but feel like the outro, and most of the instrumental moments, feel as if I'm at local LA venue the Baked Potato - watching these dudes work it out... it's just killer. Welcome back to another Weekly Pick! This week, I'm revisiting an album that I consider to be one of my personal favorites to come out this year. KIMOCK's "Satellite City" is just one of those records that melds into your daily life. It holds that dear place in this consummate audiophile's collection that can fit the shoe of almost any utility -- it just feels good to put this record on, hence my returning visit for this week's post. 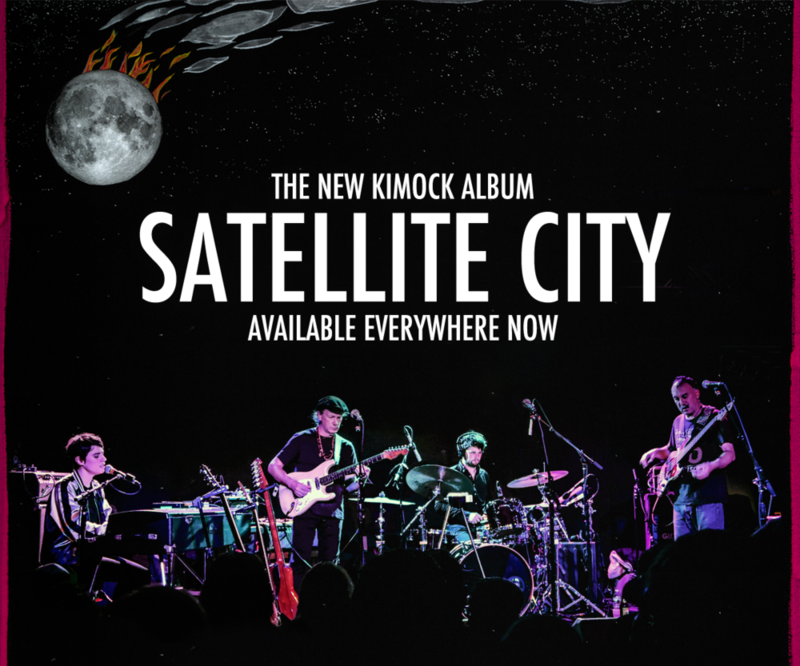 "Satellite City", the title track from KIMOCK's album is a very groove centered piece with Leslie Mendelson's beautiful vocals at the helm. Band leader and namesake, Steve Kimock pulls beautiful and ethereal tones out his guitar and the production as a whole. There are some really nice moments in "Satellite City", musical breath and space are abundant here. The tricky pulling away of the band at around 4:00 is just pure joy. The unique blend of toothsome musicality, melody and taste really make this track and record a winner for me and I hope it does the same for you. Thanks for listening as always and I'll see you next week! Today's Weekly Pick is brought to you by Scottish artist Paolo Nutini, a formidable voice and talent. His 2014 song "Iron Sky" from the album "Caustic Love" is deeply profound look into the modern world we currently live in. It's almost as if Nutini was looking into the future when writing this song... almost 4 years later it's truth and honesty rings as clear as a bell. With the soulful swagger of a modern Curtis Mayfield or Percy Sledge, Nutini begs the listener to realize we are living in a world where the people can truly have a chance to lead, to bring love and peaceful change to every inch of this beautiful planet. WE have the power... only if WE decide to take a stand up. "Iron Sky" couldn't be anymore relevant in our current era of politics, hate and destruction. When is it enough, when have WE had enough? The bridge includes an excerpt from the powerful speach in the 1940 Charlie Chaplin film, The Great Dictator. Extremely powerful and poignant, a shining example of what humanity can truly accomplish if we lead with love, kindness and understanding for one another. Today's Weekly Pick is a fantastic song from a duo of artists that are very near and dear to my heart. 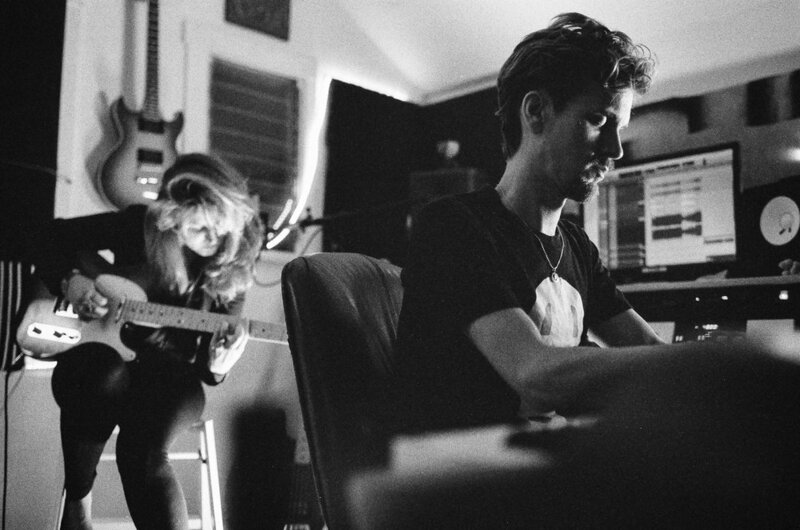 MUSA is an artistic collaboration between Luna Achiary and Johannes Raassina, who are both friends and mutual adventurers on my own musical journey, with Raassina who has been engineering and co-producing the Brian Buckley Band's forthcoming album. Both Achiary & Raassina create some incredible melodic moments on the MUSA debut album. Though I'm featuring one stand-out track today, I highly encourage you to listen and pick up the whole album - You can find it on iTunes here: BUY MUSA. It's big on musicality, powerful hooks and an energy that pulls you inwards toward the beautiful landscapes they create. MUSA is here to open your heart and keep it flowing. Enjoy "Watch Out" with it's tribal, pulsing power. It's the type of music that invokes a hunger or yearning within one's self... powerful and pure --- exactly what this world needs RIGHT NOW. 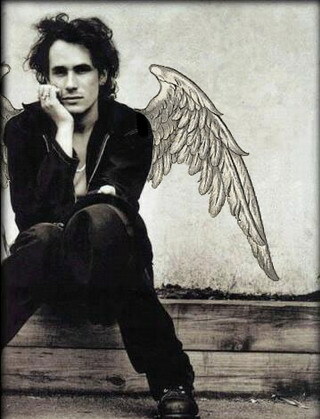 Today's Weekly Pick is a choice moment from Jeff Buckley's posthumous album "Sketches For My Sweetheart The Drunk". "Everybody Here Wants You" is a remarkable tune in many ways, mostly in that whenever I listen I immediately can sense the amount of beauty Buckley was working on. "Sketches" is most certainly a record filled with demos, half finished material, and some mostly finished pieces -- which this track is the latter. Being given the chance to listen to what he was working on is both timeless and heartbreaking, forever entrapped within the double disc. Like the spirit that was and is Jeff Buckley, "Everybody Here Wants You" haunts my life as I pass from moment to moment. I've heard this song in movies, my own catalog, restaurant soundtracks, a friend's house party... it's often surprising, but always welcome. Buckley is a momentous artist that will always be missed and most importantly cherished by his fans. Until next week & thanks for listening!